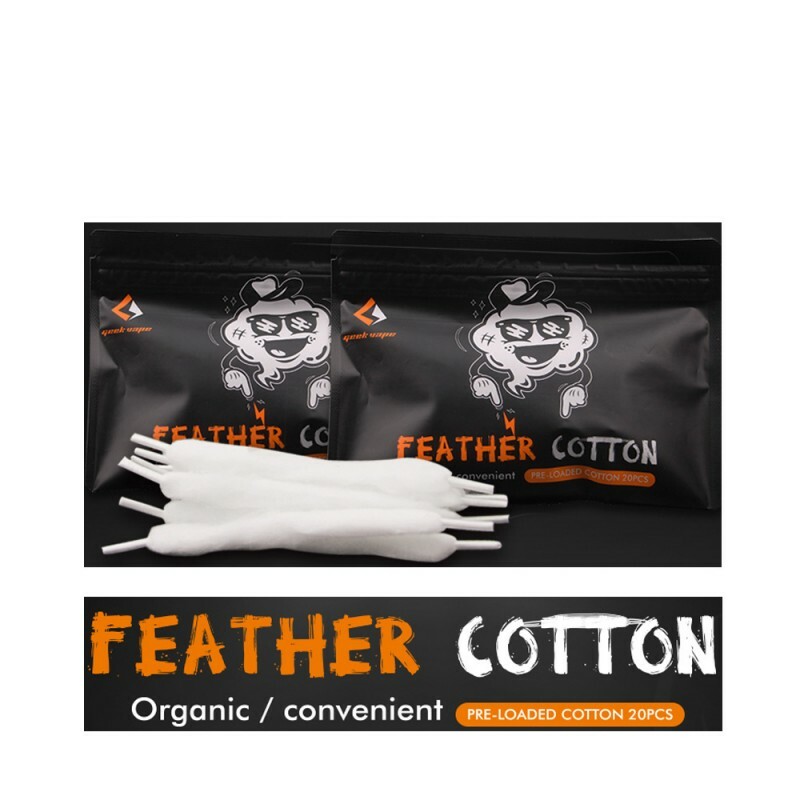 The Authentic GeekVape Feather Cotton utilizes pure organic cotton. The pre-loaded cotton is very easy to wick. 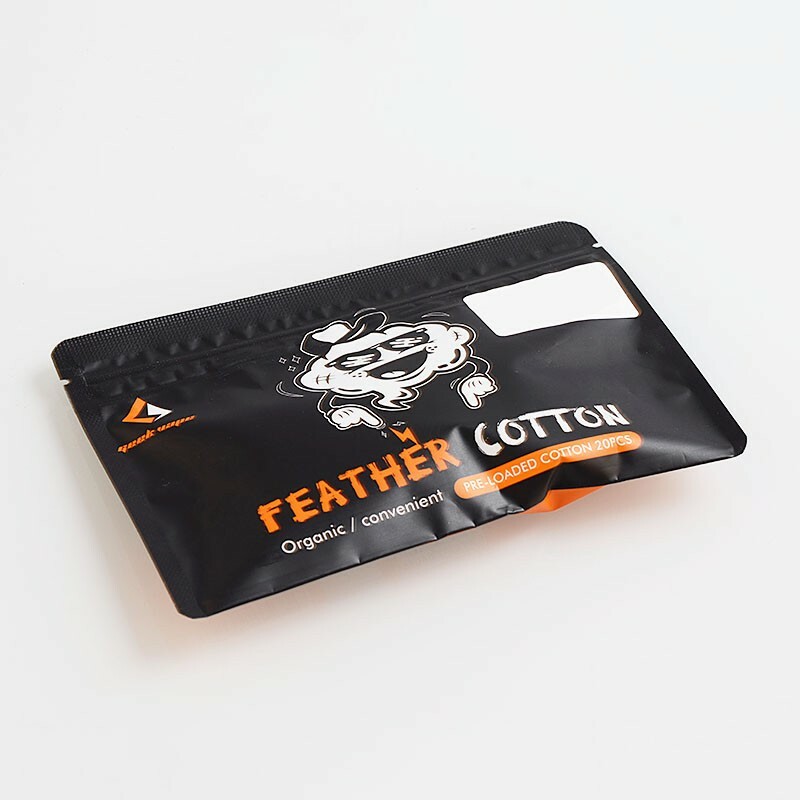 This cotton provides more capacity and clean pure flavor. 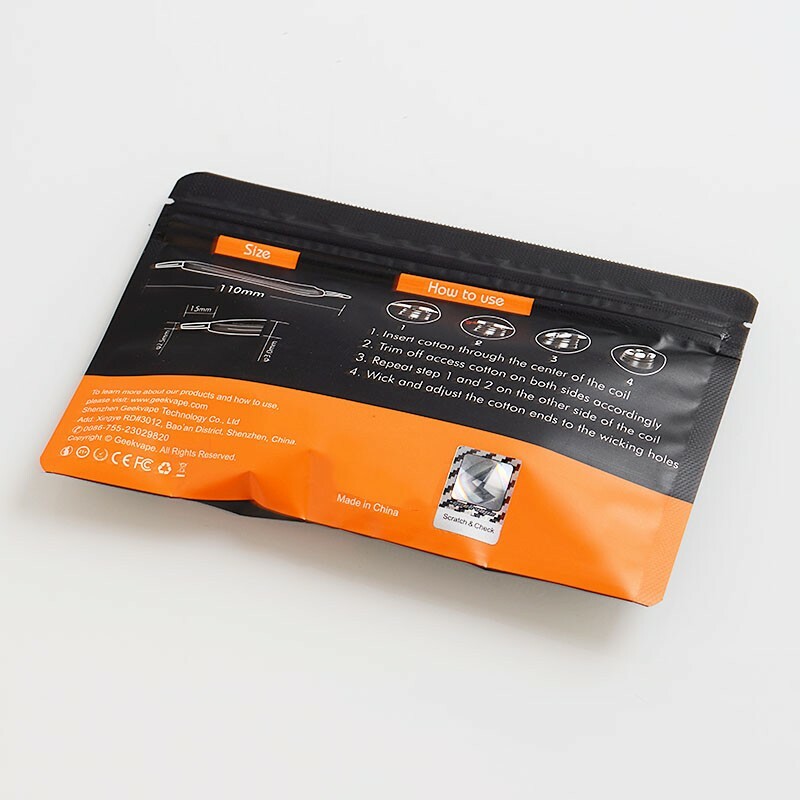 This product comes with 20 x Pre-loaded cotton.